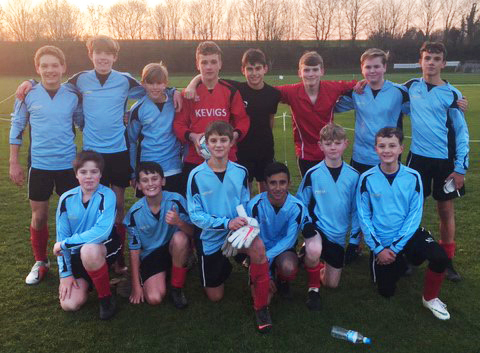 On Wednesday 21st November, KEVIGS met a technically gifted and competitive King Edward, Spilsby side in the Superzone final. Having defeated all challengers in their league campaign scoring over 25 goals and conceding only 4, the boys marched into the final brimming with confidence. After a nervous start where Max Winfield had to be called into action several times, making exceptional saves, the team finally got their break through 10 minutes in. Fin Goodfellow broke through and finished clinically. This was quickly followed by another breakaway goal following a breath taking through ball from Maxwell Guise. A third was added by Jake Adam to complete an excellent first half. The second half started much the same with KEVIGS dominating possession and creating plenty of chances. The squad was rotated and everyone played a vital part in the eventual 8-0 win. Second half goal scorers; Fin Goodfellow, Jake Adam, Lucas Stubbs, Ben Vickers, Harrison Stephen and Zohair Shazad. A great performance saw the boys retain their Superzone title. Well done boys. A big thank you also to Mr Spowage for the time and effort he has put into the team.